Every purchase of these merch will help us make a difference. 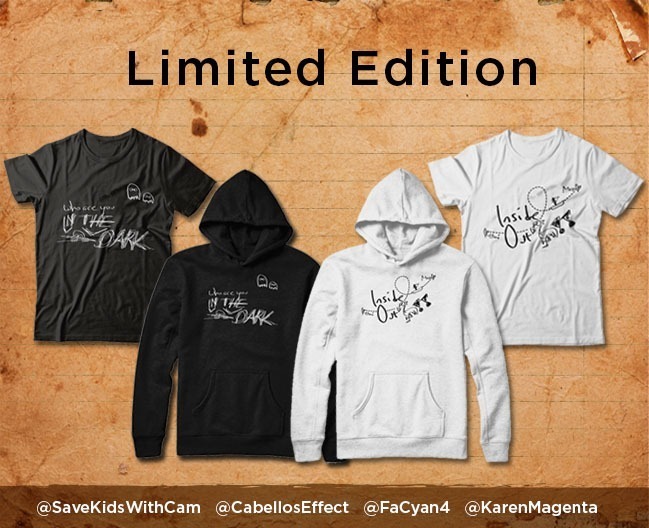 We will donate ALL the money from sales to "Save the Children"
Hi loves! We've been raising money for charity every year close to Camila's birthday to be able to donate in her name as her birthday gift! This year we'll be co-operating with the lovely @CabellosEffect, @FaCyan4 and @KarenMagenta! Every purchase of these merch will help us make a difference. We will donate ALL the money from sales to "Save the Children". An organization—as most of you know is the one Camila is an ambassador of—that helps refugees and responds quickly when disasters strike worldwide. "When you can't find love, make it." — Camila Cabello. With your help these kids will never be the same leading happier lives and we hope to impact as many lives as we can. Thank you. All rights reserved. This design, including all phrases, art, photography, and graphics, may not be sold, reproduced, displayed, modified or distributed without the express prior written permission of the copyright holder.